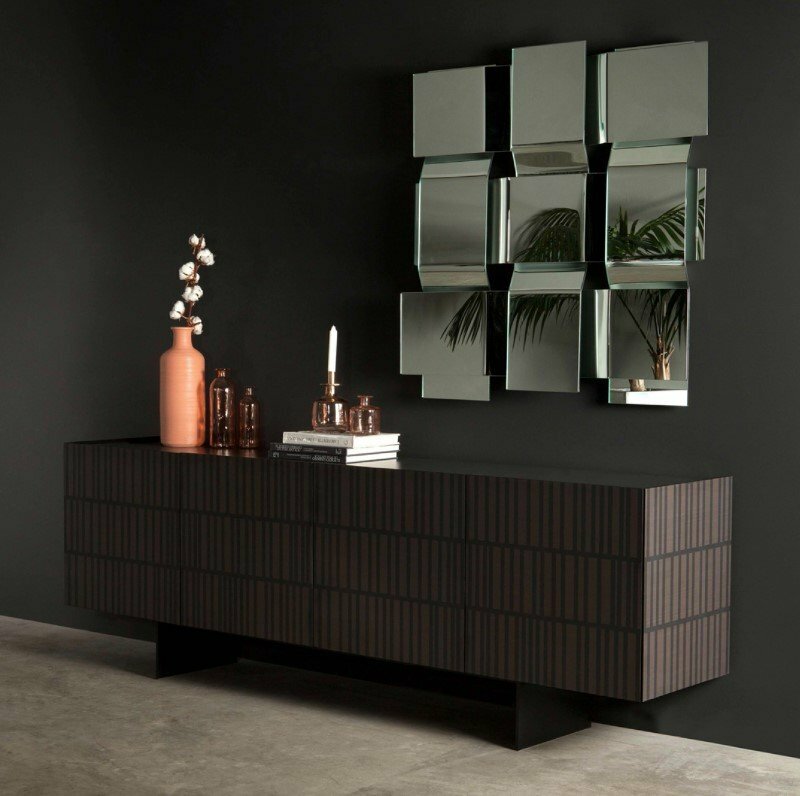 The Flamingo cabinet offers screen-printed patterned doors and a lacquered stone bronze base. Also available with a black glass top. Please contact us for pricing.